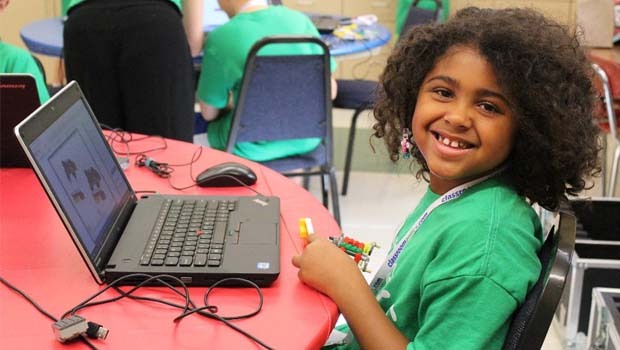 Classroom Antics Summer Tech Camps 2019 – Classroom Antics offers Summer Tech Camps in the areas of STEM (science, technology, engineering and math) for kids ages 7-13. These hands-on enrichment programs are a fun and engaging for young minds to develop skills, encourage creativity and continue learning. Camps are 3 hours long for 5 days, totaling 15 hours. Campers can attend either a morning or afternoon session, or combine two sessions to make an all-day camp. Morning sessions run from 9a-noon, and afternoon sessions run from 1p-4p. For an all-day camp, kids stay from 9a to 4p, and eat a packed lunch with the other all-day campers and instructors. All materials and equipment are provided by Classroom Antics, so campers don’t need to bring anything, except a lunch if staying all-day. All class sizes are up to 12 participants, for maximized learning and social environment, and campers do not have to share equipment. Classroom Antics is offered in multiple suburbs in the Detroit area, and is in a different location each week in July. Click here to visit Classroom Antics Detroit area summer camps webpage. To register your child and see locations, dates, times, pricing and more information, head to www.classroomantics.com.